Go Next Digital developed Whuis.com in 2016. 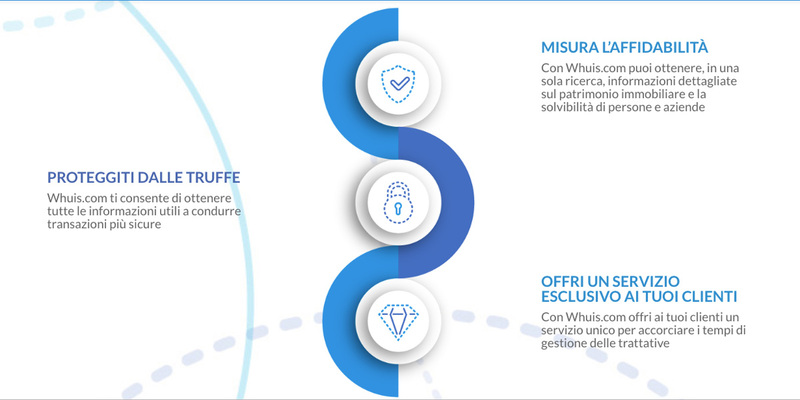 Whuis.com website is the first Italian site to assess the reliability of people. With Whuis.com, through a simple search engine, you can view, with just one query, real estate properties, past and present roles in companies, company holdings, possibility of negativity as bill protests and detrimental acts and other fundamental information to understand the reliability of a person. The objective is to disrupt the classified market/marketplace giving to each user an online identity increasing the quality of leads and decreasing the online frauds. 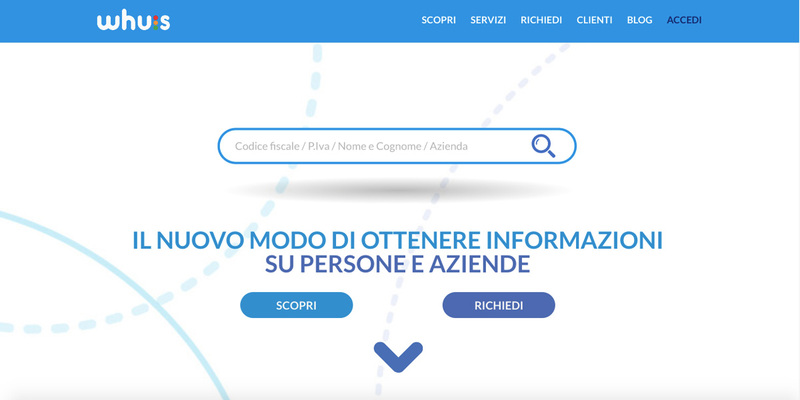 The platform has more 2.500 paying customers in Italy (real estate agencies, car dealers) and is used by the major Real Estate Networks (Tecnocasa, Gabetti, Grimaldi etc).